Access Recovery helps to reconstruct damaged Microsoft Access 2000-2007 .mdb and .accdb databases from healthy and corrupted disks. Access Recovery does not just repair database headers and take care of database structure. It resurrects the whole structure of a database by breaking it into separate records, repairing each of them and assembling back into a solid working database. Access Recovery is designed not to bring changes into original .mdb files. It creates a new database in a MS Access format to export records being recovered into it. It is equipped with full preview function to make sure you recover what you need. 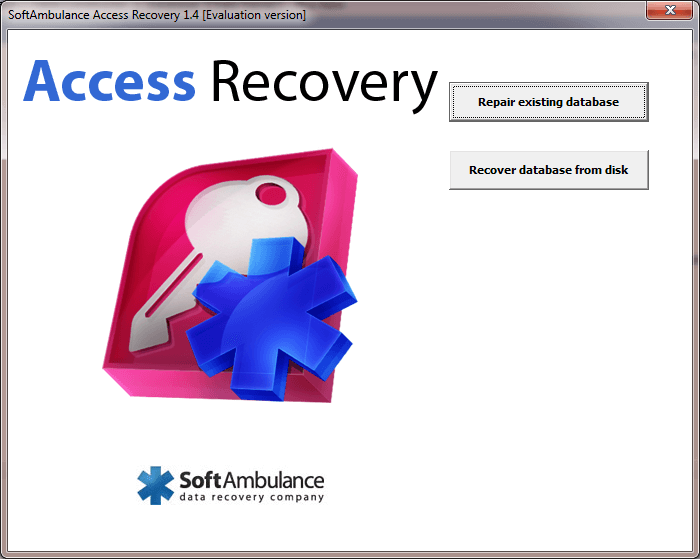 safely recovers Access database files from any type of storage media. Access Recovery able to fix damaged MS Access files on fly as well as recover partial information contained in damaged or deleted files. Supports all Microsoft Access file versions.